A few years ago, beginner snowboards were absolute crap; very few served the purpose of easing you into the snowboarding world. Instead, they made snowboarding more of a challenge than a learning process. Nowadays, manufacturers are making the necessary changes to the beginner snowboards with the aim of improving the performance and learning process. For a beginner, you are inexperienced, and most probably you have very little knowledge on how to choose the best beginner snowboards. Such a quest requires intense research to figure out the best brands and features to look for. The rush and adrenaline of snowboarding are unmatched. Tapping in the world of snow, and mountain slopes require the right gear. You want to have snowboarding gloves for warmth and beginner snowboards for training. As you progress you can try the advanced user snowboards, keep in mind that these type of snowboards are not cheap. Easy to into turns with its forgiveness and soft flex because of the cross profile of the rocker and camber. This is a board that is designed explicitly for entry-level riders. It has loads of features to help you learn to ride how down a slope. It is manufactured by Burton, a company that has a reputation for crafting high quality boards. Some of their boards are even used by professional snowboarders. It goes to show the level of confidence riders place on this brand. The Burton Clash is arguably the best beginner snowboard as it has tons of forgiveness. This is an important feature on a beginner board. You want a board that will allow for mistakes, move with you, and corrects you in case you need it. The new model features a flat to rocker profile that feels better than the traditional continuous rocker model. It has better stability which makes it easy to go for long flat runs. It gives the feeling of a real spring out of most turns. The board also has more pop on its tail and a combination of other features that make the experience even more fun. Such a board doesn’t come with much speed. This grounds you to moderate mountain speed as opposed to straight lining the steepest hill you can find. The latter is where the fun and adrenaline is. Since the board has a camber profile, you don’t expect it has a lot to offer. It’s easy to turn, which is all you need for now. As you progress, the simple turns will become boring but keep using it until you master the basics of turning. This is one area that the Burton Clash failed to impress. The board is only good for soft snow to powder. The tech used – Frost Bite Edge Hold- does not bite as good as you would like to. Instead, you can feel as the Clash slips out every time you hit a hard snow patch. As the snow hardens, the fun deteriorates. It does not have superior pop, instead, it feels less poppy as compared to other models such as the V Rocker. This doesn’t really matter for beginners because their primary need is stability between the feet. Pop comes in much later. Everyone starts from somewhere and the Burton Clash is a good starting point. It has all the features required by a beginner to master basic skills. The durable design and forgiving flex make it ideal for entry-level riders. The K2 Raygun appeals to users with different ability levels and riding preferences. Over the last nine years, the K2 Raygun has barely changed. It has maintained its initial design with a few tweaks here and there. Although it’s is an all-round snowboard, we found it to be a good choice for beginners. Not only will it help you horn your skills, but it will also ease you into more advanced snowboards. You’ve got to start from somewhere and it might as well be the Raygun snowboard. The 2019 model has a great price point and an even higher reputation. Despite this, we didn’t expect much from the snowboard being advanced users. The snowboard is not as poppy as an expert would want it to be, however, it’s stable enough for intermediate and beginners. It has impressive stability when one footing and flat basing. This kind of snowboard will help you learn to center up your stance while learning a solid mountain freestyle approach. Regarding speed, we didn’t expect it to outperform our favorite snowboards and we were right. Which is not that bad considering it’s for a beginner. When starting you want stability not speed. You want to master a few styles and learn how to control your snowboard. Speed comes in play later on. The snowboard is fun to cruise with but not at the speed you would like. The K2 Raygun doesn’t have the traditional slight extension along the sidecut, which means it cannot compete with the big boys. Despite that, it does exceptionally well in varying conditions. This will come in handy for you as a beginner. It works well on firm snow but loses hold on what is often known as snowment. 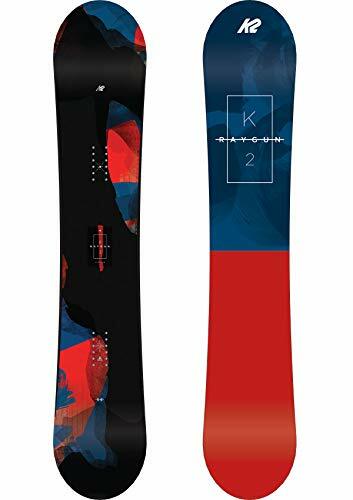 Like earlier mentioned, the K2 snowboard is not super poppy. However, it can generate substantial air over small obstacles. Remember, when you are starting, you are likely to focus more on the small obstacles that you can handle. With the K2, you can tackle most of these obstacles, but for bigger obstacles, you will need a snowboard with more stability and a stiffer flex. The K2 does not have the most fun turning experience. We would rate the turn as average. You don’t get to feel that real spring to any of your radius turns. The K2 Raygun is not impressive for an advanced user but for an entry-level user, it’s great. The K2 is ideal for a number of style and activities on the slopes such as looking for kickers and bombing down runs. This is a board designed to help you transition to the big leagues, however, most riders that use it are actually beginners due to its cross profile. The Salomon board not only helps you learn how to ride, but it also helps you progress to some of the more advanced models. It’s the ideal entry-level board as it has better performance than most intermediate boards at a fraction of the cost. It is perfect for intermediate riders, but it can also serve as beginner board. 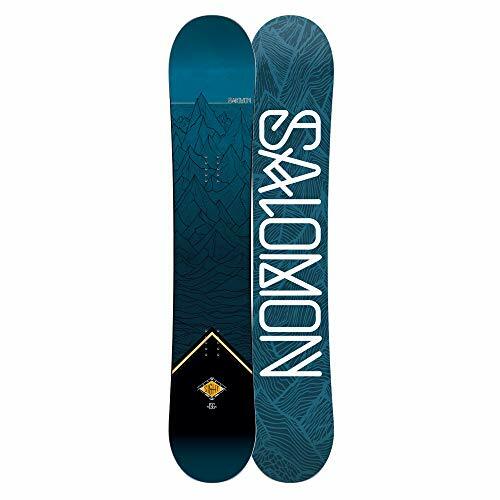 For a board in its price range, the Salomon is fun to use. It features a cross profile rocker type which gives it a more forgiving flex. On a scale of 1-10 we would rate the flex as a 6. The mellow camber zones are a little bit stiffer while the tips have a little bit more play. This will make it easy for you to learn and prepare you for better boards with more consequence. A beginner snowboards should comprise of accurate side cuts. They make it easy for you to turn even when riding at high speeds. The Salomon board has got some nice curves that are slightly wider thus helping in direction changes. A wider board surface translates to better stability and more maneuverability. The addition of stronger rails means improved resistance. A snowboard has pressure zones which tend to inflict pain on one’s foot when riding. To minimize the pain, Salomon Sight comes with 2mm rubber pads. These pads are integrated into pressure zones to eliminate pain. They also act as shock absorbers by dampening excessive vibrations. It has a good pop and feels nice when taking off. It is stable enough to tackle small to mid-sized obstacles. The Salomon Sight board is smooth and stable, it can tackle anything less than 30 feet with ease. It helps you learn and improves your skill in readiness for an advanced snowboard. It is a high quality board from a reputable company with vast experience in snowboarding. The Ride Crook is a balanced freestyle board that offers great stability, and feels very lively underfoot. It is very affordable and very few changes have been made to the original model. It has maintained the same design and profile over the years. The Ride Crook is designed for entry-level freestylers. 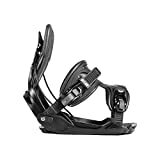 It features a flat to rocker profile making it very stable for a beginner to enjoy some quality snowboarding. The profile also makes it easy to master a few beginner freestyles. The edge to edge design exhibited on this board allows you to skid or rail your turns. It feels quick while being too twitchy especially for those short radius turns or the wide radius turns. It’s not as fast as the advanced to expert models but you get to enjoy and feel your board chatter as it picks up speed. You will experience some lag on the mountains and better performance in the parks. Nothing to complain here. It will hold up well in hard snow. This, however, deteriorates as the board ages. It’s not the poppiest beginner board but it will do just fine. It is not perfect but it has a snap to it. The board makes it easy for riders to generate air on their own regardless of their skill level. It strikes a good balance between fun and challenge. If you are interested in learning freestyles skills, then the Ride Crook should be your go to board. It’s cost efficient, has a forgiving flex, and great stability. It performed well in parks but had challenges keeping up while on a mountain. Although the durability is questionable, it will last long enough for you to become an intermediate. Thanks to its effortless rideability and versatile shape, the Capita Horrorscope is fast gaining popularity among beginners and intermediates. It has sensational colors and great stability. The flat to rocker profile has been around for ages. It was thought to be the do-it all kind of profile. On the downside, it lacked a few features that hybrid profiles with camber seemed to exhibit. The Capita board does not try to convince you it can do everything, instead, it’s a jib focused board. It also holds up well in other areas in the park but not to perfection. It is stable and very forgiving. The 2018 Horrorscope feels playful, soft and has a snappy feel. On snow, the tip and tail tends to flex way easier than boards such Ultrafear and Scotts Sevens Pro, which have a higher flex rating. For a board its size, the Horrorscope is slower than you would expect. It feels like riding a 153 which in a way is good. Why? Because the board will not feel twitchy especially when paired with mellow boots. Also, it has a wide platform underfoot that has a stable approach to most features in the park. Unlike other boards, the Horrorscope board does not have sufficient dampening going on. Instead the company focuses on manufacturing light and poppy feeling boards. Despite this, its softer flex, small frame combined with easy turn initiation makes for a smooth ride on rough terrain. Although the board does not come with springs it has a pretty impressive pop. Overall the Capita Horrorscope is a beast with a few shortcomings. The price, design, color and shape are to die for. 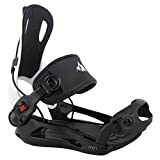 Below are a list of features to prioritize when shopping for the best snowboard if you are a beginner. You don’t just pick a board and take it out for a ride. You need a board that is crafted to fit the needs of your user level. Since you are a beginner, you will need a board that will be forgiving enough to help you ride and improve your skills. These types of boards are generally shorter, lighter, twin-tipped for going backwards and soft-flexing. 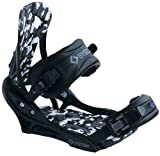 They are ideal for hitting pack features such as rails and jumping. Freestyle boards are more similar to skateboards than to other snowboard types. Powder-specific snowboards have one unique advantage over other snowboards, they can float in deep snow. They combine tapered, shorter tails with wider and longer noses. This design allows the boards to dive deep while keeping the nose up for better buoyancy. The design also has its shortcomings. For example, it makes it hard to stomp huge airs off your jumps or ride backwards. They are crafted for steeper technical lines and can rip powder better than others. You will find that most are directional in shape with several stance options. The design helps maintain a balance between diving deep and other functions such as going backwards. They are ideal for any conditions or terrain. This means that their performance is not limited to the mountains, they can be used on groomed runs, pack and pipe as well as backcountry. Some are directional (downhill only) and others are two-tip (either direction). Snowboarders prefer the all mountain due to its versatility. A snowboard comprises of a long slender frame. There are different lengths for different boards. This makes it imperative to understand how the length affects riding style and type. Each board comes with several lengths to choose from, you ought to know how to differentiate the effect the sizes. Freeriding snowboarding- Such a rider requires a longer snowboard since freeriding focuses more on speed. Long, smooth runs are also a key focus especially in areas with mountains. Thanks to the increased length, freeride snowboard are stable at high speeds. For beginners- Since you are just starting, it is advisable to choose a mid-sized snowboard. Freestyle boards- Such riders require a shorter board as they are lighter, more agile and easier to execute freestyles. The shape of a snowboard is also a key determiner in how the board rides. Directional- They have a longer nose combined with a shorter tail. You will find that some have a twin flex but the biggest percentage has a soft nose together with a stiff tail. They are crafted for all-mountain snowboarders as they float better through powder. True Twin- they are symmetrical both in shape and flex. They also have a centered stance. These type of boards are ideal for freestylers and beginners. Directional Twin- It is a perfect combination of the directional and true twin. The board has the true twin shape and the directional flex, which make it perfect for freeriding. The boards have softer noses and stiffer tails. Tapered- These are directional boards with wider noses. The nose tends to be wider than the tail. They are fairly stiff making them perfect for powder riding. Snowboarding requires a lot of balance. You cannot master your balance without good stability. The better you become at balancing on the skateboard, the faster you will learn more tricks and styles. Stability is the starting point. Without stability and good balance, you are not likely to go far. Using a hybrid camber ensures that as a beginner you can build your confidence, make turns without much hassle and improve your skill level. The board should be wide enough to cover most parts of your feet. If you can get a board that will keep your feet on it completely, the better. Make sure your feet are comfortable and no part is hanging out. Having part of your feet hanging out could jeopardize your performance. This is an important part that prevents you from slipping off. It is so important that a while back when boards didn’t have edges they weren’t allowed in ski resorts. This might not be an important factor but it has some weight on your choice. Snowboards are known to have great graphics and it wouldn’t hurt to have a board with captivating graphics. If you intend to purchase one of the best snowboards for beginners, then you might as well buy a good looking one. A board is like an investment, you want something you will be proud of. Q. Are speed laces recommended for boots? A. Speed laces were designed to ease the process of loosening your boots especially between runs. 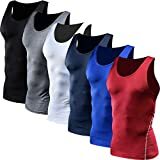 This makes them ideal for experts and advanced users as they prefer to use tight fitting boots. Riding is sensational but in between your runs you will need to loosen your boots. What better way to loosen them than by using speed laces? Since you are a beginner, you will hardly have any use for these laces. You are snowboarding boots are likely softer thus there is no need to loosen them up. Speed laces are expensive and not worth it for a beginner. Q. 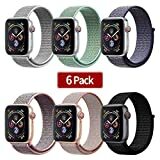 Between a shorter board and a longer board which is better? A. It depends on your preferences. Shorter boards have quicker turns, are easier to control and are beginner friendly. On the other hand, longer boards are more stable, have a bigger turn radius and float better in powder. With that little bit of information, you can figure out what you want. Nowadays, beginner boards are easy to find, the trick is finding the right one for you. We’ve compiled a list of 5 boards that are worth looking at. Some will help you learn to ride a snowboard and afterwards ease you into the next skill level. We hope that you learned something and you were successful in finding the right beginner snowboards.